The Guernsey Press have recently written an article about pupil Morgan Clayton with regard to his achievements on the hockey field. Described by Elizabeth College’s Head Hockey Coach, Andy Good, as ‘probably the most natural goalkeeper in recent years, Morgan Clayton harbours dreams of reaching the very top of the sport. 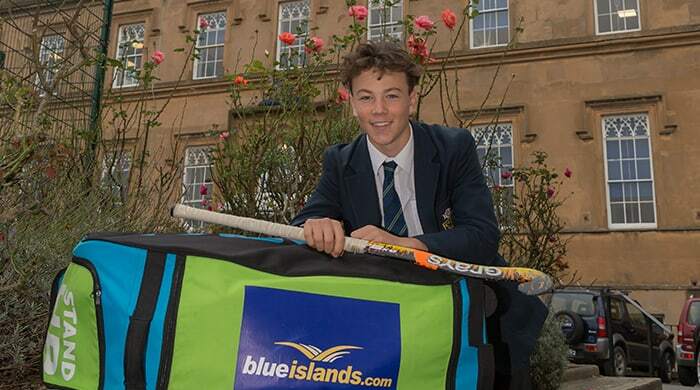 The article also mentions that Morgan has received support from Blue Islands, who have allowed his kit bag to travel free of charge to Southampton when he attends the England Hockey Performance Centre sessions. To read the full article that appeared in the Guernsey Press please click here.